Veteran home care benefits may be obtained with the assistance of the Veterans Pensions Benefit Program. The program is intended to provide financial support to service men and women for non-medical in-home companionship care services. As an authorized agency, Home and Hearth Caregivers can help you determine if you qualify for these benefits! At Home and Hearth Caregivers, we have a number of in-home care programs and services customized to meet the unique needs of veterans. From personal care to transportation to and from appointments to respite care services, our professional in-home caregivers can assist with all your care needs. Visit our Services page to learn more about our wide range of home care services. Additionally, our offices are located less than 6 miles from The Edward Hines Jr. Veterans Administration Hospital, making visits and collaborations with hospital staff a breeze. Once you have been approved to receive your benefits, Home and Hearth will invoice the Veterans’ Administration directly. As with any federally funded program, the application process may be complicated and take time. However, we at Home & Hearth Caregivers are well trained in how to help clients apply for VA benefits. 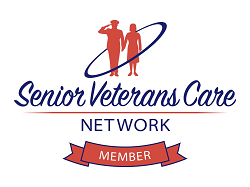 In fact, our Senior Care Plan Manager completed a course sponsored by the Veterans Administration in order to better help us serve our clients. We will be honored to assist you with the respect and dignity that you deserve…we salute you and thank you for your selfless service. Veterans that have served 90 consecutive days, with at least one of those days active during “wartime” may be considered for benefits even if they were not in combat. Learn more about our Chicago area senior care services today!